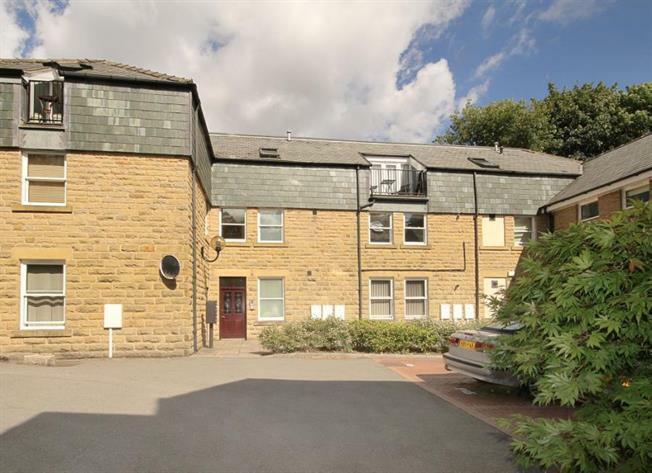 3 Bedroom Upper Floor Flat For Sale in Sheffield for Guide Price £270,000. A stunning first floor purpose built apartment forming part of this exclusive development located within Ranmoor Conservation area, offering deceptively spacious living accommodation provided by three well proportioned bedrooms, contemporary open plan reception space through to kitchen, en suite facility, as well as a large main bathroom. The flat itself has the benefit of video security intercom and gas central heating and is available having no onward chain involved. Accessed via a communal ground floor entrance with stairs rising to the first floor level. The welcoming entrance hallway leads into the delightful well proportioned main lounge, together with a dining area open plan to a fitted kitchen with integrated appliances to include gas hob, electric oven, extractor fan, fridge/freezer, washing machine and dishwasher. The large inner hallway provides enclosed storage and leads to all three bedrooms, the master bedroom having a range of built in wardrobes, as well as an attractive en-suite shower room, both bedrooms two and three are further double rooms and the main attractive bathroom gives a spacious feel fitted with a three piece suite in white comprising wash hand basin in a vanity unit, low flush wc and bath having mains shower and shower screen above. Outside there is an allocated car parking space together with use of the visitors spaces as required. The property itself is set well back from Ranmoor Park Road/Ranmoor Road with impressive sweeping lawns and a driveway which operates a one way system through to Ranmoor Crescent at the rear. Location: Ranmoor is one of Sheffield's most prestigious residential areas with a host of local amenities including shops, first class restaurants, excellent schools, regular public transport and excellent leisure facilities. Within easy reach of the open countryside of the Peak National Park, close to the principal hospitals and universities and approximately two miles from Sheffield City Centre.